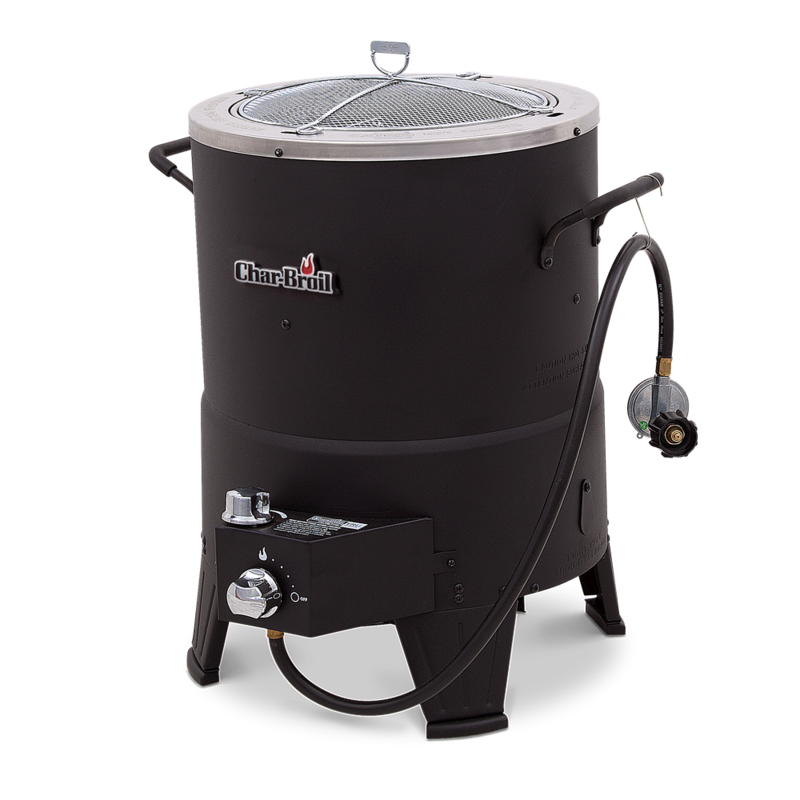 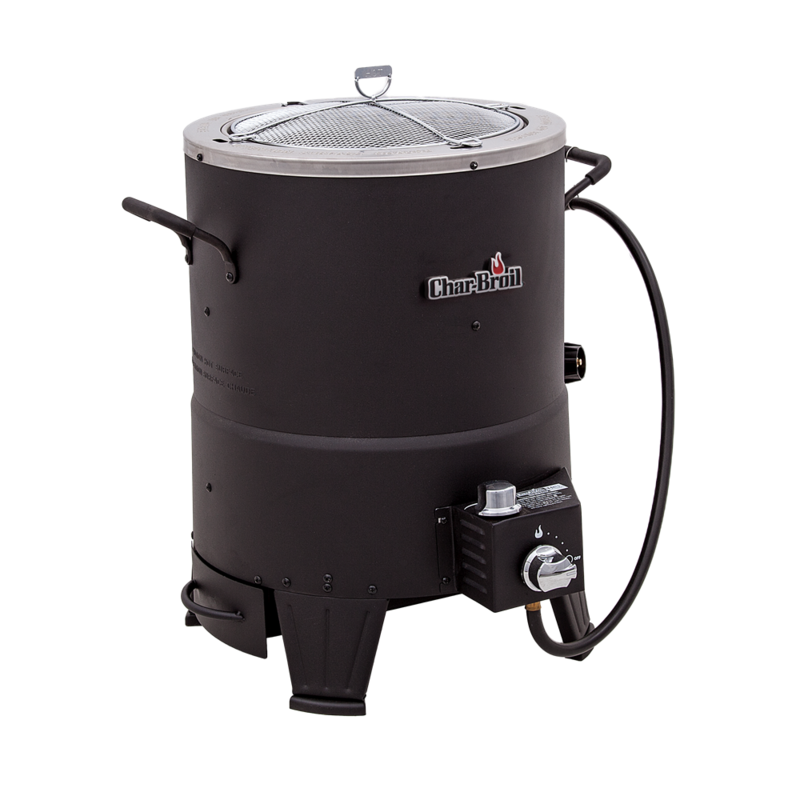 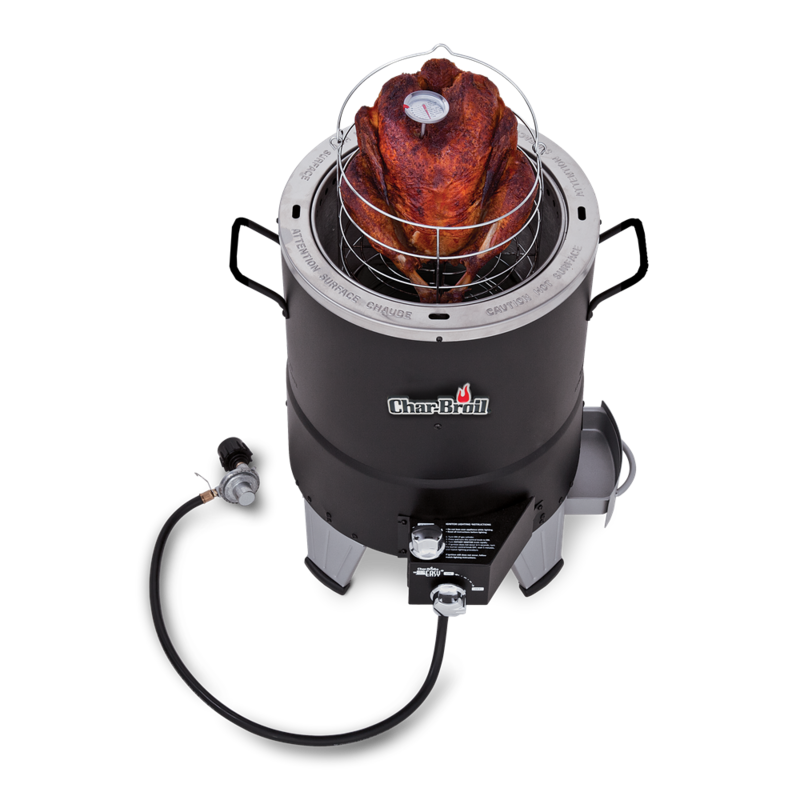 The Char-Broil® Big Easy® Oil Less Turkey Fryer, powered by TRU-Infrared cooking technology, is the fastest, easiest & safest way to fry delicious roasts, chicken and turkey dishes. 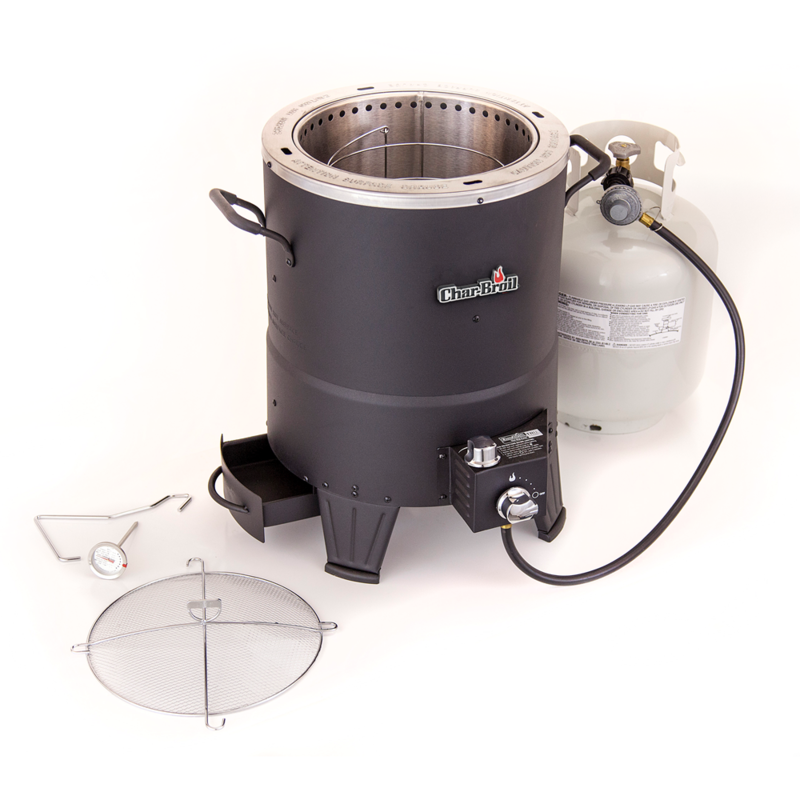 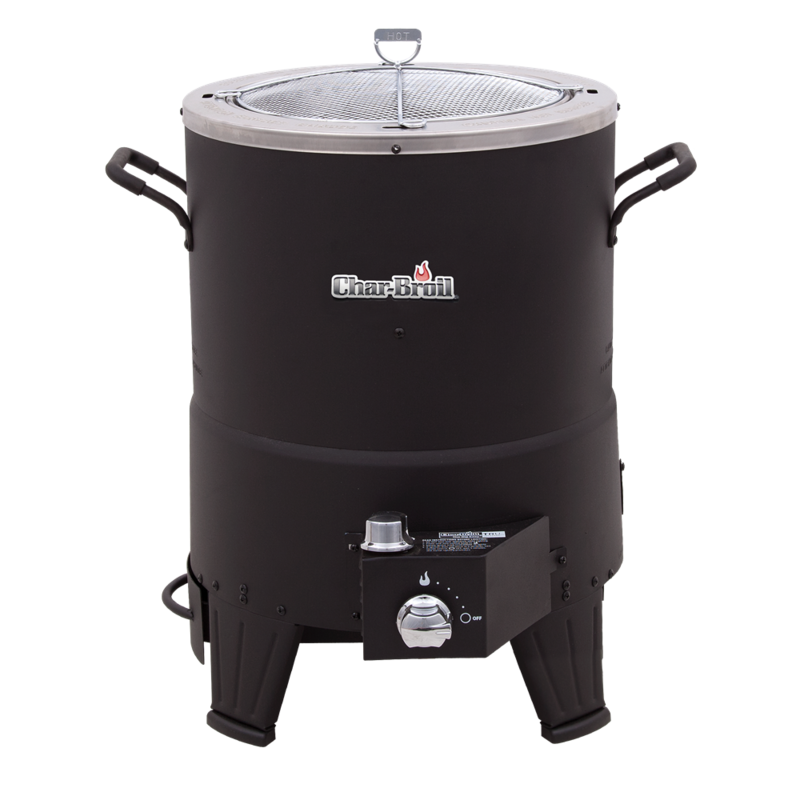 This infrared cooker features a rotary ignition for easy lighting and a removable grease tray for easy cleanups. 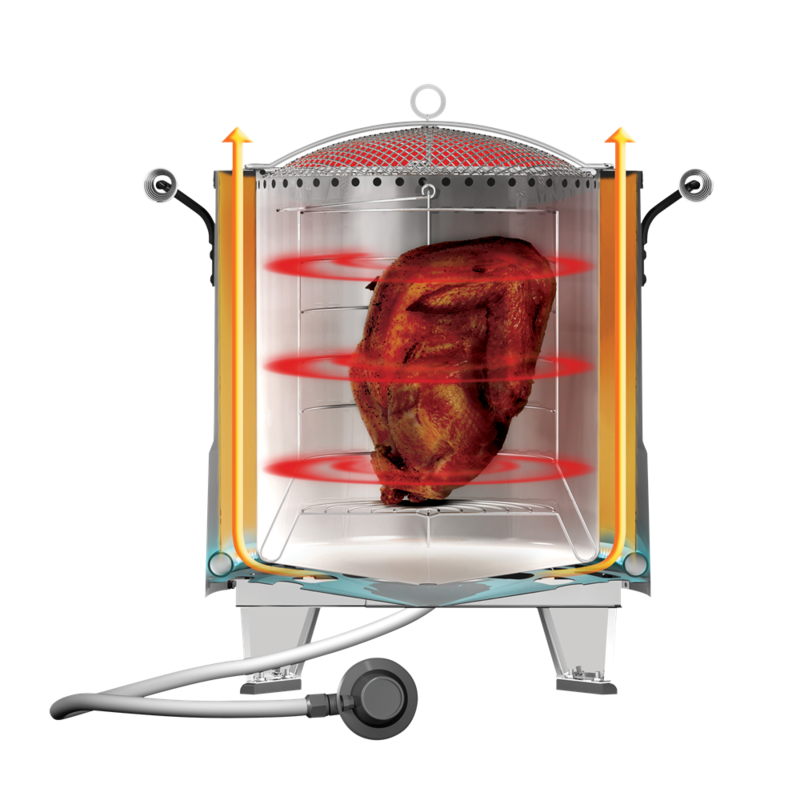 Fry whole turkeys or chicken up to 16 pounds, without oil, in the infrared cooking chamber. 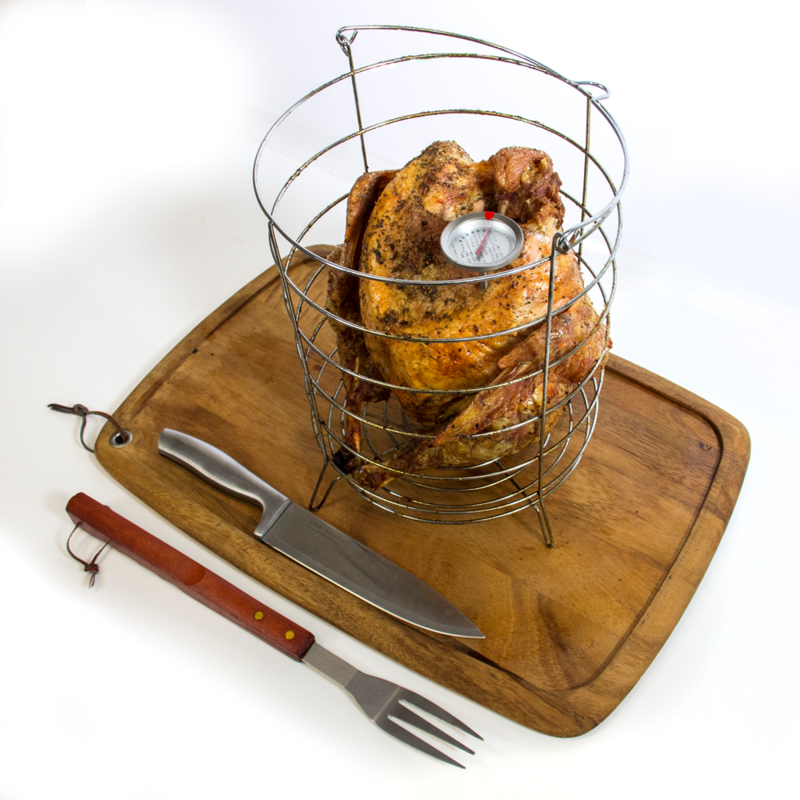 Enjoy crispy skin and juicy meat, without the extra calories or messy clean-ups.